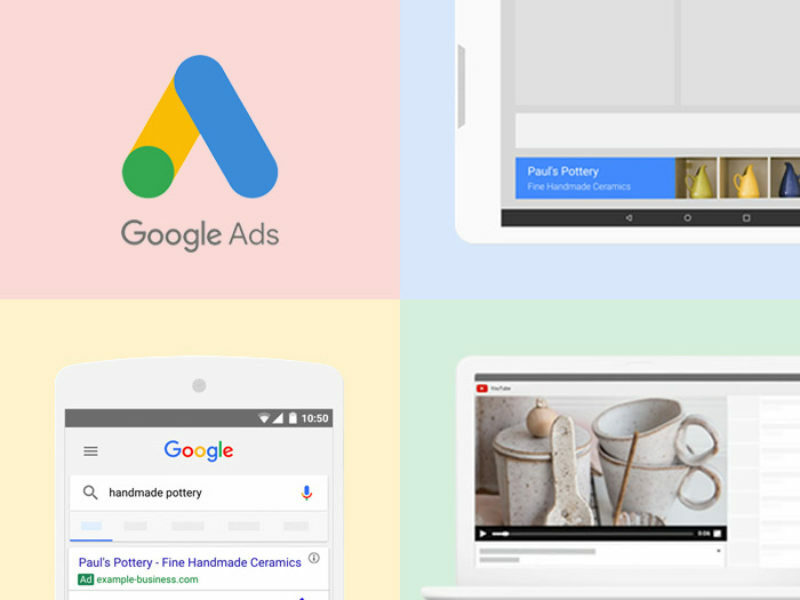 Google Ads (AdWords) is a powerful and complex advertising platform that promotes your business at the top of Google, at that exact moment when customers search for your products and services — A must-have generator of enquiries, leads and sales for SME businesses in NZ. Adhesion® provides professionally managed Google Ads advertising services for small to medium sized businesses throughout NZ. We have over 10 years' experience in successfully managing Google advertising campaigns. One of our highly-trained in-house specialists will be assigned as your go-to campaign manager, and they will work to understand your business goals thoroughly. You can talk directly with the person who manages your campaign, and they will always be available to take your calls (during work hours), so any questions or requests can be addressed immediately. We offer our Google Ads services to a range of businesses with a range of budgets, from as little as $5/day. Download our Google Ads brochure for full details, or contact us for a free audit or consultation. Your Google Ads account's settings and keywords will be managed by one of our certified specialists. When someone searches for products or services relevant to your business, an ad for your business will be listed at the top of Google. These ads are very similar to normal business listings, except they will be carefully worded by your account manager. Your account manager will work to understand your business, then customise your account settings and ads to best achieve your goals. The Google Ads software is built for experts, and can be fine-tuned to deliver ads at precisely the right time and place. Google Ads can be scheduled and targetted internationally, nationally, regionally or locally, depending on your business’ reach requirements. Should I manage my Google Ads myself? While Google Ads offers powerful opportunities to connect with new customers, many businesses that try managing their campaigns in-house have difficulty yielding results. Many give up in frustration because of the complex algorithms that run the Google Ads platform. A large proportion of Adhesion's clients have tried Google Ads in the past, only to realise a greater Return On Investment (ROI) after partnering with us. 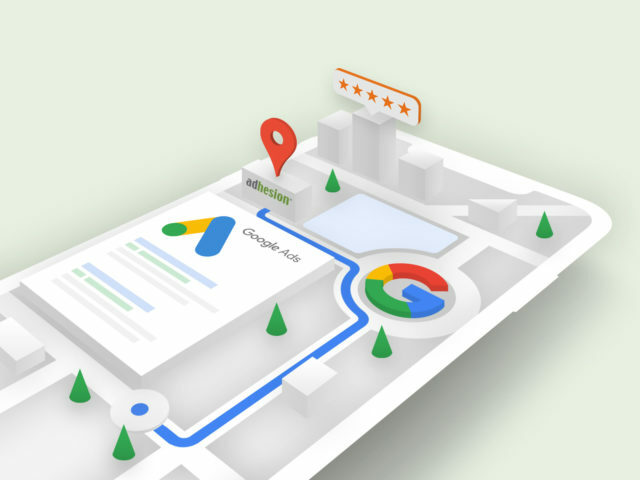 All Adhesion's Google Ads campaigns include a one-off setup fee of $339 and a $100 promo credit on new Google Ad accounts. We offer a range of budget options to suit. Click costs are paid by you directly to Google and the monthly management fee is payable to Adhesion. Please see pricing options below or contact us for more details. Why trust Adhesion with your AdWords? Adhesion has been building its unmatched reputation as NZ's leading online advertising partner for over a decade. With so many online advertising 'experts' out there, outsourcing your marketing can be a risky or expensive decision. Adhesion puts transparency first. You'll never get hit with fixed contracts, cancellation fees or hidden costs. Why else does Adhesion have the best customer feedback for any online marketing company in NZ? Managing Google Ad campaigns can be very time consuming and often frustrating - especially if you’re not getting the results you expect. Contact Us for a no obligation, expert review of your existing AdWords account and advice on how to maximise its performance and to get more leads and to stay ahead of the competition. "Adhesion offer a great service and a lot of really great advice to help boost our online presence. They always make us feel like no question is a stupid question, which is helpful when trying to negotiate the complicated world of online advertising."